“We were trying to find the woman in winter. 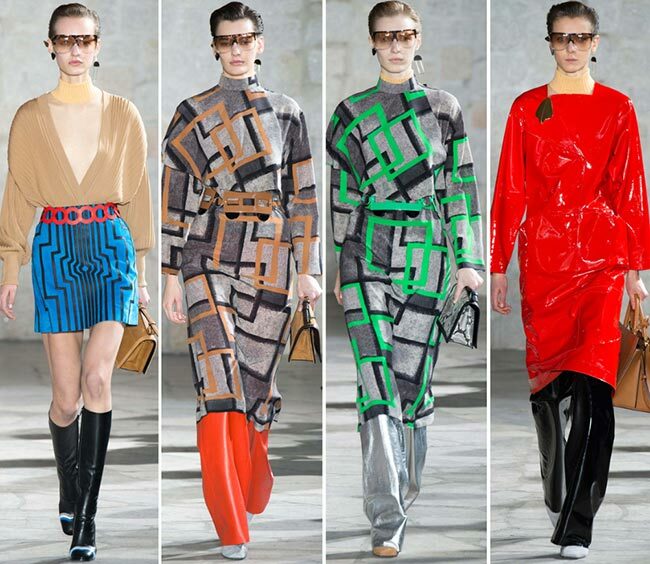 A bit laboratory, something future but in the reality,” Anderson stated describing his Loewe fall/winter 2015-2016 collection. 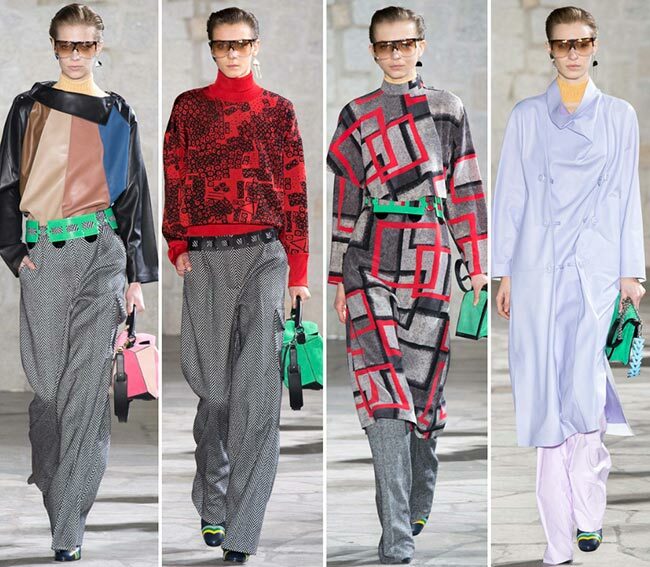 The Loewe woman is fun and daring, loves her colors and certainly loves her wide legged trousers. She rocks the sweaters, prefers her leather, and is not afraid to wear all shades of blue, from the blue-white to the electric hues in the dead of winter. She loves her comfort and she loves her shine. More than anything else, she wants to be remembered as the most stylish of ladies to have graced the streets by the end of the night. Plus, she is born of the Spanish mind, despite the fact that her clothing designs are presented on the Paris Fashion Week runway. Jonathan Anderson does a great job as creative director for the brand that was founded in 1846 in Madrid and still works strong to this day. 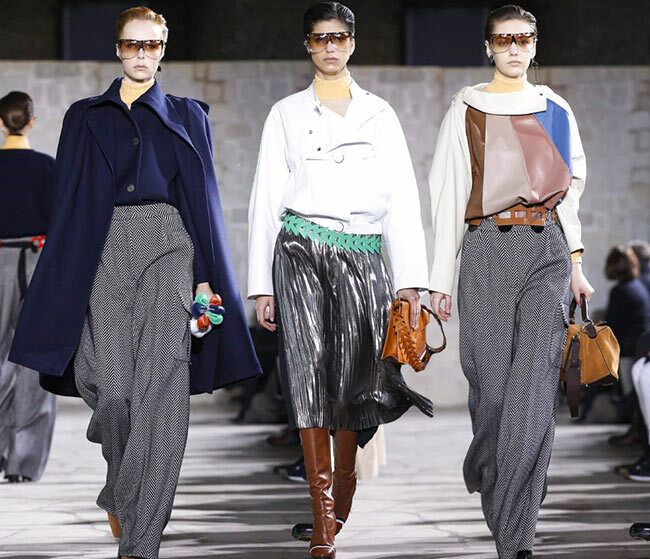 Leather goods, silk accessories, ready-to-wear fashions and a whole multitude of men’s and women’s fragrances are the bulk of what Loewe produces for us fashion starved fans out there. 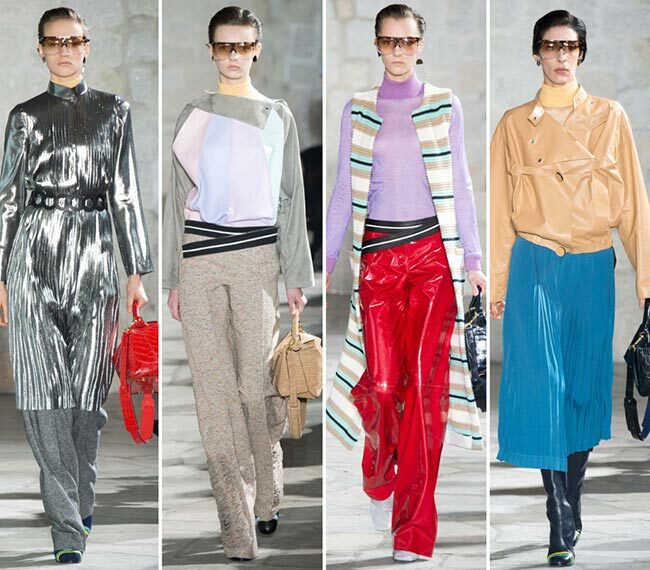 The Loewe fall/winter 2015-2016 collection started out light and moved in strong, what with the bright high gloss red pieces found dotting the runway and finishing off the show with a bright fire engine red dress that rather reminds us of the plastic fire fighter jackets sold on Halloween and equally glossy loose trousers. 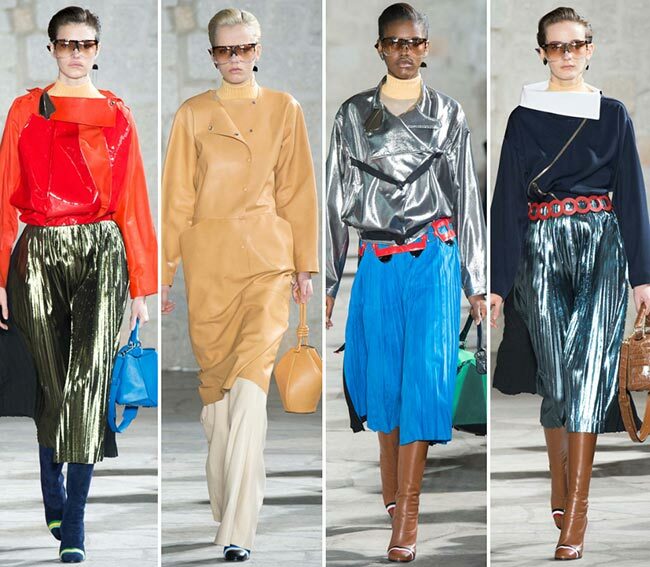 The brown leather bag and those oversized sunglasses make up for the lack of appeal that final piece holds though. Perhaps the second last would have been the better choice, with the white coat over the black belted stark white pants and the white shirt worn underneath, the turquoise and beige striped black pointed toe boots added the perfect final touch while the brown handbag and oversized sunglasses gave it a southern charm‚Äö√Ñ√∂‚àö√ë¬¨‚àÇ or more of a Ski Princess look. Actually, we loved the use of turquoise throughout the collection, from the geometric cube shapes on one of the last coatdresses to the illusion inspiring mini skirt with the circle ringed golden belt and the plunging V-neck sweater tucked in, the pretty belts that blink through here and there and the whole outfit in a gorgeous aqua color that falls slack against the body, large and loose, with a funky broach and black buttons to add some effect. 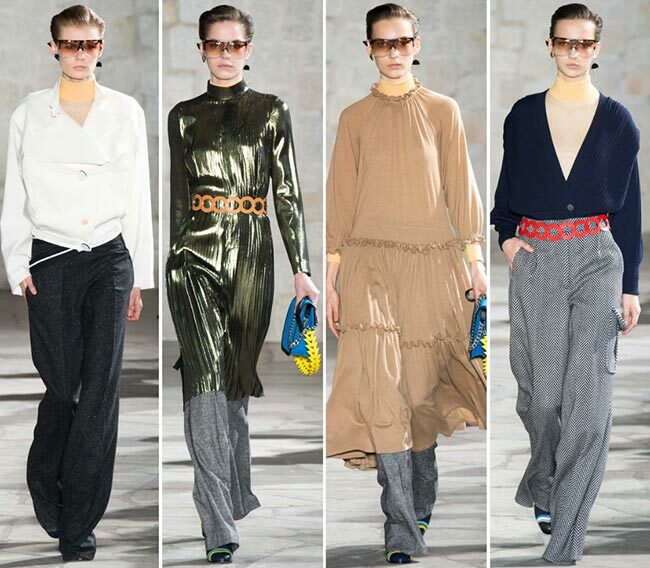 We are not so sure about the long loose dress over loose trousers deal as that seems to be a bit more of a faux pas in fashion going on, but we so like the comfort level available throughout the collection, along with some of the shiny futuristic looks, such as the turtleneck black piece with the beige ringed belt and the charcoal pants underneath. That handbag in bright blue and yellow looks almost like a plastic children’s toy, though very well may be part of that futuristic world being imagined here. Out of everything though, these slack trousers with their swaying fabrics are the best pieces out of the entire collection. It is good to know that the cooler seasons will mean being comfortable is going to be stylishly fashionable.